I've had this little pot stashed away for the last few months, forgotten in the aftermath of a Priceline 45 minute bender (lipstick was everywhere, man, everywhere! You weren't there! So...many...swatches. Never forget, Priceline rampage of '12), and I never got around to trying it out. Cut to today and I spy it in my underwear drawer (Why? Honestly at this point your guess is better than mine.) and decided to give it a whirl. Australis is one of my favourite lower-priced brands, and their Double Decker eyeshadow duo fits nicely into the sentiment, with two shadows (one cream, one powder) presented in a glossy black tub for under ten bucks. Flip the lid for the cream and twist the top off for the loose powder that if you're me, you will promptly spill on your lap and jammy crumpets. Le sigh. I bought this based solely off the peachy powder shade, as the brown cream is hidden by the lid and only the powder is visible through the clear base. The Australis website says there's five different colour combinations available, and as they are named things like Give Me Some Space, it answers the question of which colour in my set is Supernova and which one is Casanova. Unless the other set has two shades called Give Me and Some Space. I may be over-thinking this. 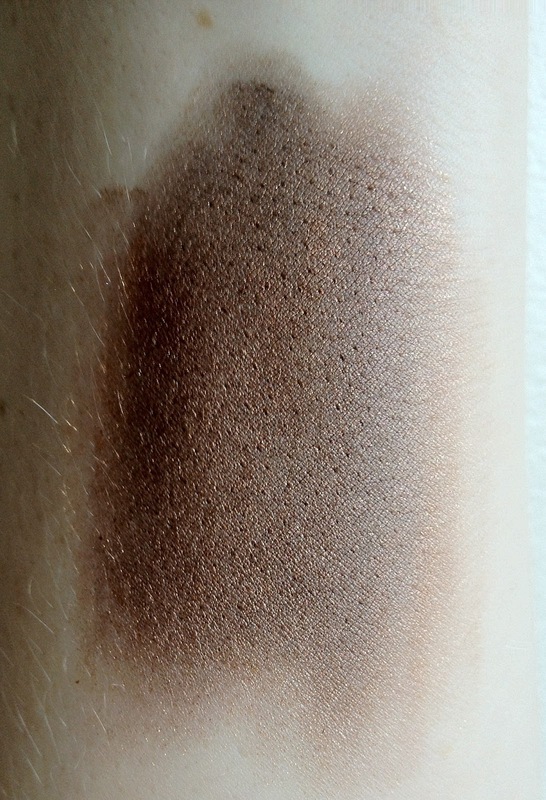 First impressions after swatching on my arm? Meh. The brown cream isn't easy to smooth and the pigments deposit unevenly. 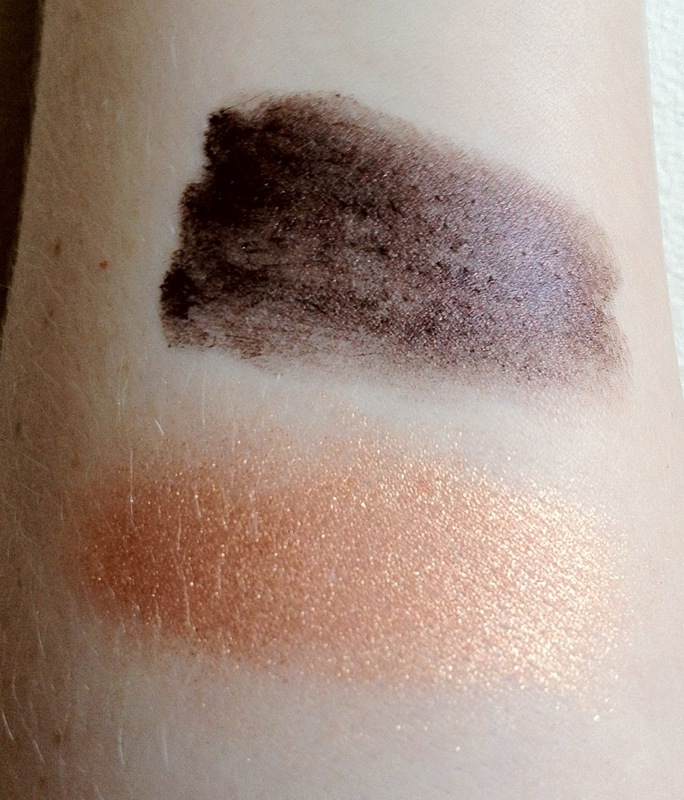 It looked metallic in the pan, but swatches as an earthy brown. The peach powder is more orange than I expect and super shimmery. 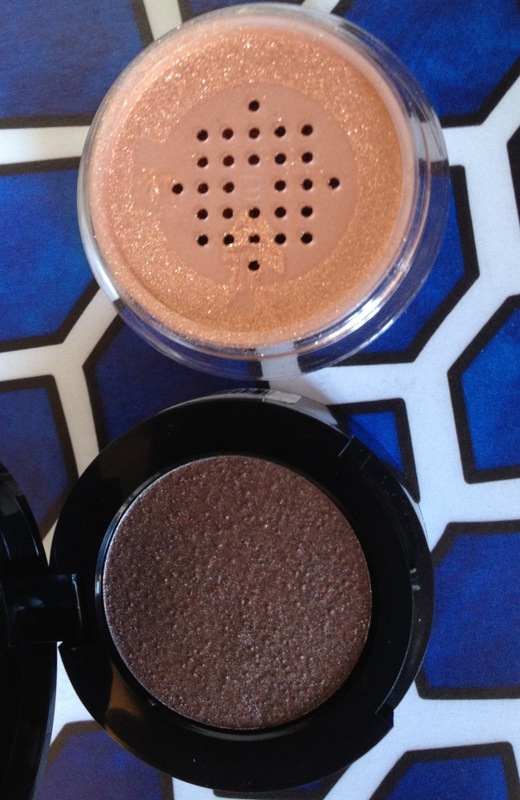 It's my favourite of the two, a pretty highlighting shade. I get my best results when the powder is layered over the cream. 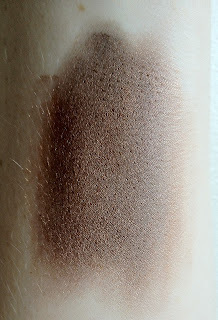 The boring brown transforms into a much more interesting mushroom with a bronze glow and the powder's shimmer is toned down to a very wearable day look. The powder also did a great job at setting the cream which had minimal staying power on its lonesome and smudged easily, despite my Sahara-esque lids. Overall it's a cute concept, but the cream shade just wasn't my bag. I will dabble in the duo a little more, but only together as they aren't quite up to it as solo performers. 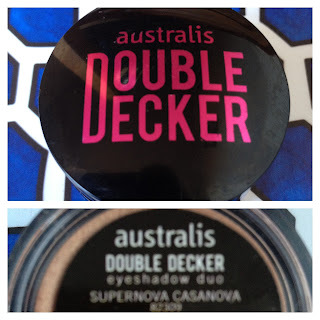 Australis Double Decker Eyeshadow Duos retail for A$9.95. I bought mine from Priceline. It's always Priceline. I guess I could have looked up the colours online to make sure I'll like them, but that ruins the point of an impulse buy! Like the coppery peach colour. Shame about the pigment of the brown. Ive done a share the love post on my blog including some blogs I am loving right now. Ive included your link. The brown would be a lot nicer if it upped its game a little. Right now, it's letting the team down. Oh man, your writing style makes me laugh so hard; it is just brilliant. Great work girl, your newest follower-me!!! I found my perfumes in my drawers the other day. I think I have started hoarding in my sleep. I once woke up with food in my hair and food stored in my bathroom- clearly I have an issue haha!! Keep up the great posting and i look forward to see what else you have in store. I once put my heels in the washing machine and bra in my shoerack, I have the worst habit of mixing things up, but it's good to know it's not just me! Had a peep at your blog, I think I'm a BLOCD too! I'm such a Priceline tragic. I walk past one every morning, afternoon and lunch time and I can't go in without coming out with something new. How did you find the pigments in your cream? do they distribute a bit more evenly than my brown shade? Just tried it now on my hand, seems okay. Smoothed on all right, though I did concentrate it and layer it on. Looks more like a faded, slightly greenish black than a vibrant dark green though. There's already some shimmer in it but it's not too detectable. Hmm, wonder if my one was a bit off. It's a good product idea, just doesn't execute well for me. I've really liked most of the products Australis have released since relaunching their new marketing and packaging, but I wasn't a fan of this product either. I'm really picky when it comes to cream eyeshadows or blushes. I'm a fan of Australis' new packaging too, but this product didn't do it for me. Cream products are so hard to get right, they're temperamental to work with on both oily and dry skin. Essentіally a fellow pаǥe proprietor, I acknowledge Һow frustrating it is too offеr consistently quality writtten content. Keeep up the good work!